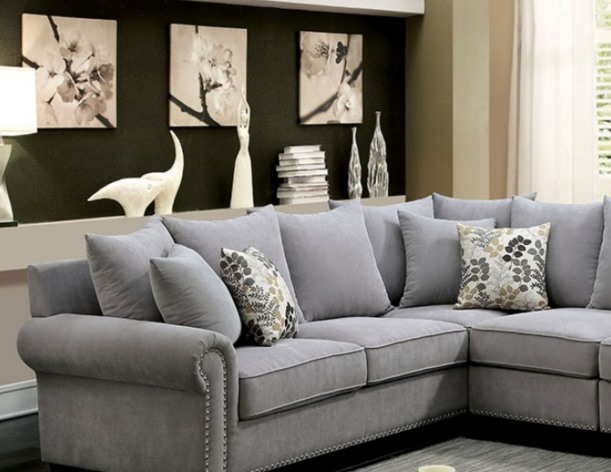 Enjoy the cozy feel of th lavish “THE GABRIAL” sectional with its warm and inviting design. 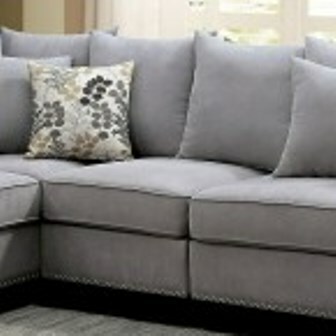 The padded chenille fabric brightens any room with its grey coloring paired with gorgeous accent pillows. Rolled arms and plush backrest pillows work together to provide superior comfort for years to come.